Posted by Administrator on September 13, 2018. Afghanistan is not a country you would expect Rugby to be played. It would be almost fair to say that not many people would likely to associate Afghanistan as a country with any particular sport indeed. Its recent war-torn history and turbulent past overshadows the country’s picturesque beauty and its culture and peoples, and yet in this mosaic of colorful, dynamic and ever-hopeful country, Rugby has taken hold and through the effort of the few, dares to flourish and grow. We were privileged to speak to one of the many people who work hard to grow and nurture Rugby in Afghanistan, Mr. Haris Rahmani, President of the Afghanistan National Rugby Federation. Is Rugby widely played in Afghanistan? Rugby is not a popular sport in Afghanistan. It is a fairly new game in the country although its popularity is increasing. Rugby started in Afghanistan in 2011 when an Afghanistan team played their first match barefoot against New Zealand Special Air Service troops in Kabul’s green zone. The country’s first official rugby tournament was sponsored by the British embassy in December 2011 and the Afghan team’s first overseas match was played as an exhibition rugby sevens match against the United Arab Emirates national team’s development side on 27 April 2012 as well as playing in the Bournemouth Sevens in Glastonbury in June 2012. 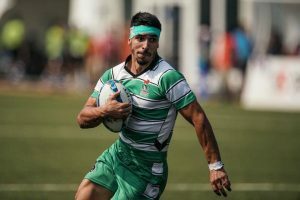 In 2012, Afghanistan National Rugby Federation was able to achieve a membership in Asian Rugby Council and has participated in the Asian Championship for two consecutive years. In 2013, Afghanistan National Rugby Federation won the tournament and claimed championship in West Asian Rugby Games. Where is Rugby played in Afghanistan? Rugby is played mainly in Kabul city at the moment. We continue to grow in numbers and hopefully we will be able to grow Rugby throughout the country at some point in time. Are there noteworthy/ outstanding clubs in Afghanistan? There are a number of rugby clubs in Afghanistan such as Kabul University Rugby Club, Mamozai Youth RFC, Hindokosh Rugby, Aryana Rugby and Khurasan RFC. We try to get as many games and competitions going in both XVs and 7s Rugby and the increasing number of clubs helps that effort a lot. With some of their national players having picked up the game of Rugby abroad, such as the Slaimankhel brothers Omar and Zakir in New Zealand, it is noteworthy that the number of locally developed players is now on the rise. Can you tell us about some of the Afghanistan Rugby players that particularly stand out? Omar Slaimankhel and his brother Zakir Slaimankhel first played their Rugby in New Zealand as they were there due to their family’s plight as refugees in the early 1990’s. Omar played Rugby League for the Warriors and moved to play Rugby Union to Japan before going to Australia to continue his League career. Mustafa Sadat is another prominent player who in the past was also a kickboxing champion. He and Abdul Bari Gazang are local lads that are shaping up to be players of the highest caliber. We believe that the key to Rugby’s continued growth and sustainability in Afghanistan is through youth and local grassroots development of the game. We have attempted to do so in the local schools but to be honest, due to the lack of funding, we are way, way off the numbers we were hoping for. With prayers and hard work and maybe a little bit of luck, we continue to wish to grow the game here. How well has Afghanistan Rugby fared in international competition? 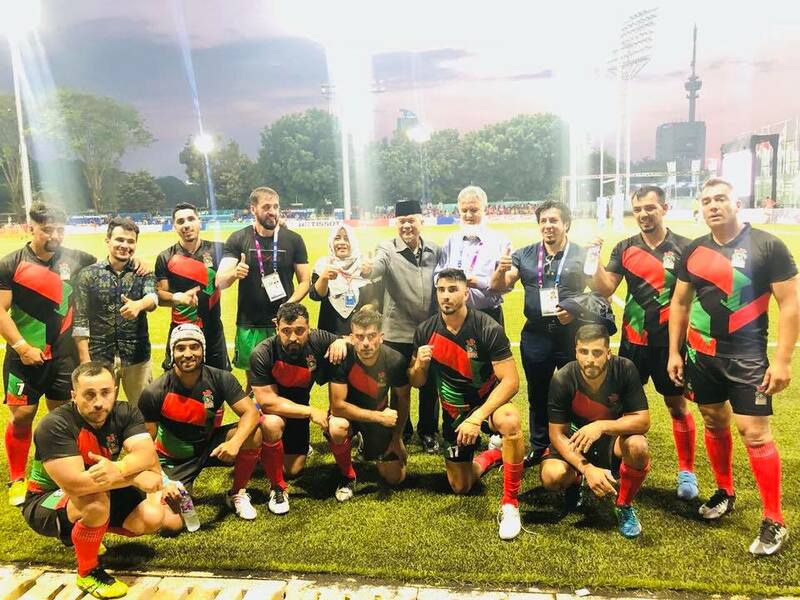 Well, in 2013 Afghanistan were second place winners in the West Asia Sevens Series and in 2014 we won four games out of six in the Asian Sevens Series. 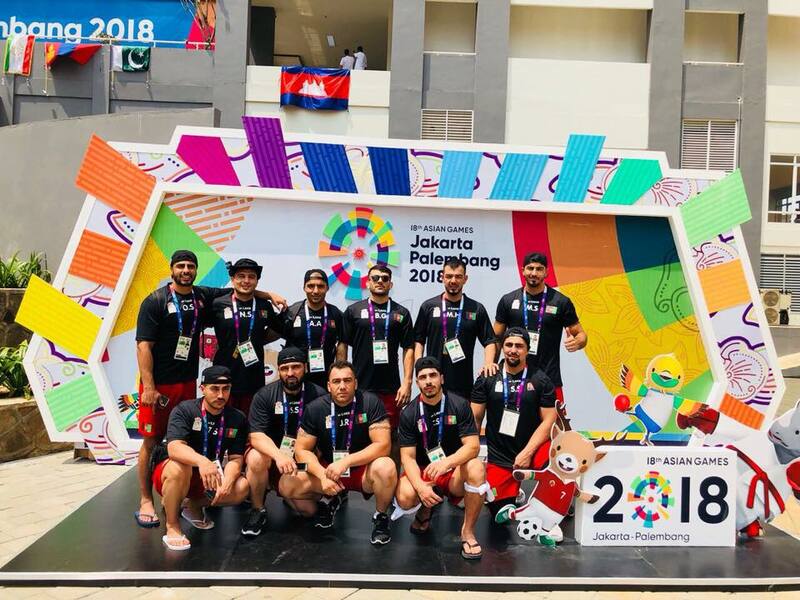 At the Asian Games recently held in Indonesia, we also won four of our six games. Our achievements may not be much to some bigger Rugby nations but for us, we are proud of any achievement given the struggle we take on to keep Rugby thriving in the country. We face many challenges here, the main ones namely funding and the lack of training facilities and coaches. We have one decent field we can play on in Kabul but most of that is mud and can be dangerous to play on when the mud dries up. We don’t have the luxury of grassy fields and proper posts and equipment but I believe that makes our hearts and determination stronger. 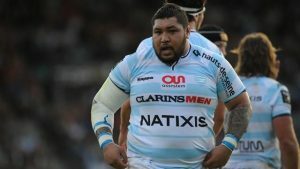 We are Rugby people and we carry on forward! 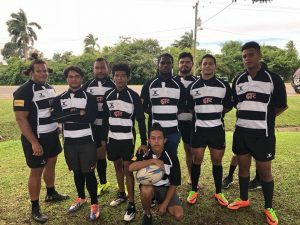 With the upcoming 2019 Rugby World Cup to be held in Japan, Asia, for the first time ever, the number of people playing Rugby in the continent has grown remarkably through initiatives such as the Get Into Rugby program. As a fledgling, new country to the game of Rugby, Afghanistan looks forward to RWC 2019 and the Tokyo Olympics of 2020. Do you have any messages for our readers in light of Asia hosting RWC in Japan 2019 & Olympics 2020? We look forward to Asia hosting these two events and you can be sure that Afghanistan Rugby will support these events by continuing our efforts to grow the game and play even better Rugby. We are getting confident we will overcome the challenges we face and dare to dream that we too will be able to play in such prestigious tournaments in the future.